Errors that May Waive a Counsel’s Right to Argue for Mistrial | Craven, Hoover, & Blazek P.C. ← Can a Property Owner Be Held Liable for Injuries to a Trespassing Child? If counsel fails to ask the trial court to rebuke a juror during trial, has counsel, for purposes of an appeal, waived any claim of error for a mistrial? The Indiana Court of Appeals says, yes. Recently, in Upham v. Morgan County Hosp., 986 N.E.2d 834 (Ind. Ct. App. 2013), the Indiana Court of Appeals held that the attorney’s failure to ask the trial judge for an admonishment of the jury pool waived the counsel’s right to argue for a mistrial later. In order to be entitled for a mistrial, the defendant must be able to establish that the questionable conduct that occurred was so prejudicial and inflammatory that it placed the defendant in a “position of grave peril”. Oliver v. State, 755 N.E.2d 582, 585 (Ind. 2001), citing Gill v. State, 730 N.E.2d 709, 712 (Ind.2000). In Upham, the wife of a deceased patient brought a wrongful death action against a hospital and their physicians, for their failure to diagnosis her husband’s ruptured abdominal aortic aneurism. The medical review board ruled that the evidence supported a conclusion that the hospital met the applicable standard of care and a jury found for the hospital. On appeal the estate argued that the trial court should have ruled a mistrial after a prospective juror, a retired attorney for Eli Lily opined that malpractice suits were “the goose that laid the golden egg for trial attorneys and specifically plaintiff attorneys.” The plaintiff’s attorney further asked the prospective juror if he believed she was “taking this case just because she wanted an attorney’s figure” and didn’t believe in justice. While the prospective juror replied that he recognized counsel would receive one-third of any judgment, counsel did not ask the trial court to admonish the prospective juror regarding such prejudicial statements. 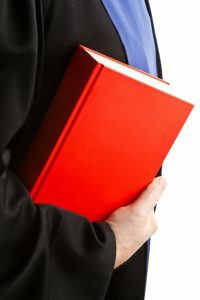 A trial court has discretion to grant or deny a challenge for cause, and such decision is appealable, as long as it is not illogical or arbitrary. Woolston v. State, 453 N.E.2d 965 (Ind.1983). If a juror serves and should have been removed for cause, the complaining party is entitled to a new trial, absent waiver. Haak v. State, 417 N.E.2d 321, 324 (Ind. 1981). Accordingly, on appeal, in order for a challenging party to prove that an erroneous denial of a challenge occurred and is entitled to a new trial without waiver, the party needs to show that they were unable to strike another objectionable juror because the party had exhausted their remaining peremptory strike. Therefore, in Upham, The Indiana Court of Appeals held that counsel’s failure to ask the trial court to admonish the jury pool waived counsel’s right for a mistrial. Upon denying the counsel’s motion, the Court of Appeals said that Upham’s counsel invited much of the juror’s prejudicial statements. Call Craven, Hoover, and Blazek P.C. at 317-881-2700 for professional legal assistance in filing a personal injury claim in Indianapolis, Indiana. Attorneys, Daniel Craven, Ralph Hoover, and Keith Blazek have extensive trial and litigation experience in accident law. They are happy to answer your questions about compensation, lost wages, medical bills, legal rights, and more, following a recent serious injury. We offer free initial consultations and never collect lawyer fees unless we win a settlement. Call 317-881-2700 to schedule your consultation with a licensed personal injury lawyer in Indianapolis, today. This entry was posted in Personal Injury and tagged accident claims, accident lawyer Indianapolis, filing a personal injury claim, filing an accident claim in Indianapolis, mistrials, personal injury claims, personal injury lawyer Indianapolis, trial errors. Bookmark the permalink.